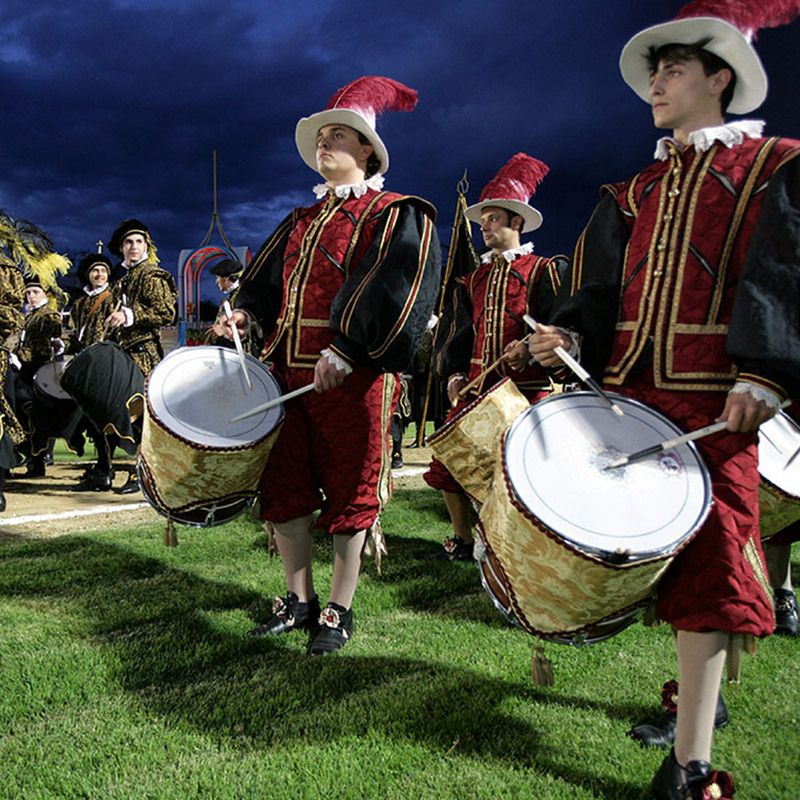 The tournament event takes place in June (1st Challenge) during a Saturday night and September (the counter-challenge) the 2nd or 3rd Sunday of September, and is proceeded each time by a festival with a XVII century costumed parade. In 1946 the actual “Giostra della Quintana” was reborn. There are ten knights, each representing a quarter of the Town, and each with a distinctive flag. The knights gallop on horseback at high speed around a figure-of-eight shaped track, and must&nbsp; spear three rings. 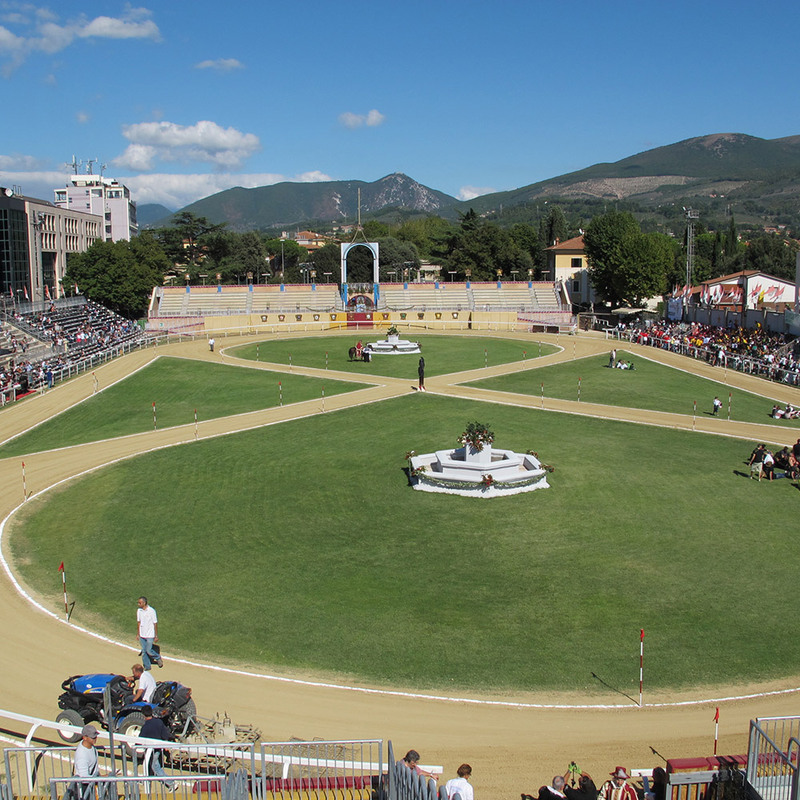 At each round of the competition the rings get smaller, requiring more precision with the lance.The rings hang from a rotating statue in the centre of the stadium. The oak statue dates back to 1613, and represents Mars “God of War” from ancient greek mythology. It holds a shield with the symbol of Foligno, and the ring is attached on an outstretched arm ready to be speared. 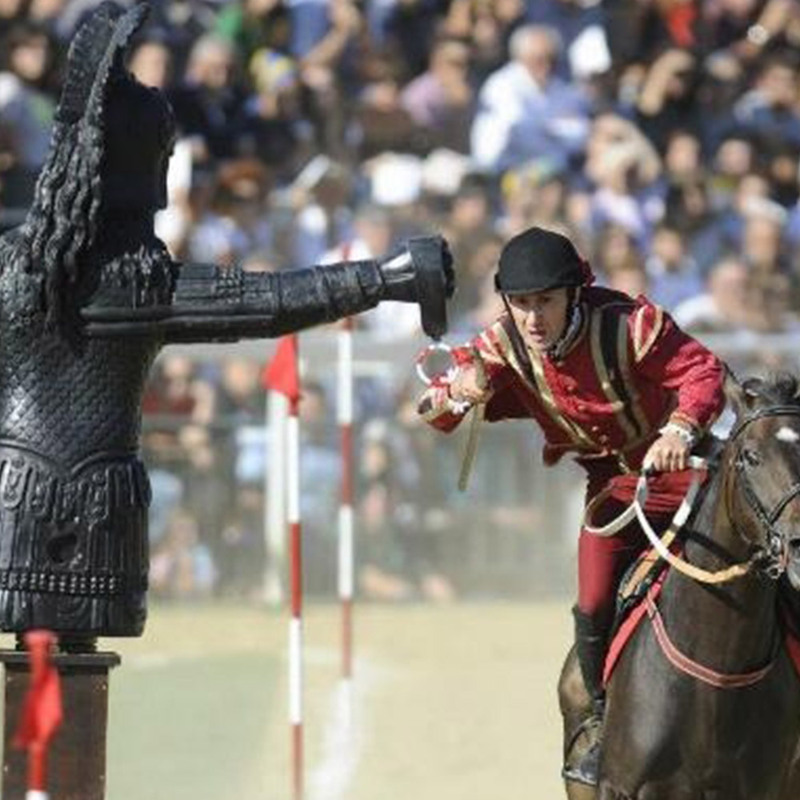 Over the Quintana weekend a number of festivities take place involving the whole town, including a parade with 800 characters dressed in XVII century costume on the day before the Ring Joust.